Each room or area has locals that you must deal with. Set up your squad and kill them all in one minute. 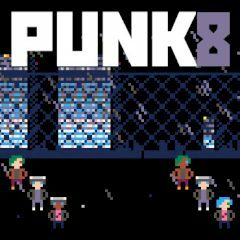 Punk 8 is a game where you need to deal with tiny squads and locals. Each area or chamber you visit will have a couple of enemies. Set up your squad to end them!